First, unscrew the bottom of the Changeable Atomizer unit. Next, remove the Tank cartridge at the top of the Atomizer unit. The Atomizer Head should fall out. You can now replace the Atomizer Head. 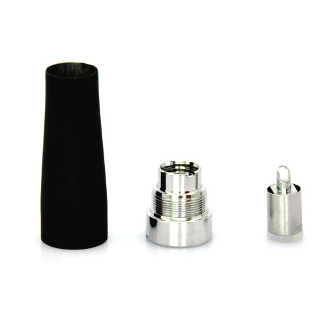 Take the new Atomizer Head and place it into the base of the Atomizer Cone. Check that the spike of the atomizer head goes into the Atomizer Cone first. Next, screw the base of the Atomizer unit into the Atomizer Cone. Then, insert the Tank cartridge. Screw the Atomizer with the new Atomizer Head back onto the Battery and it's ready for use again. The eGo C atomizers can work well on all ego batteries (650mah,900mah,1100mah).